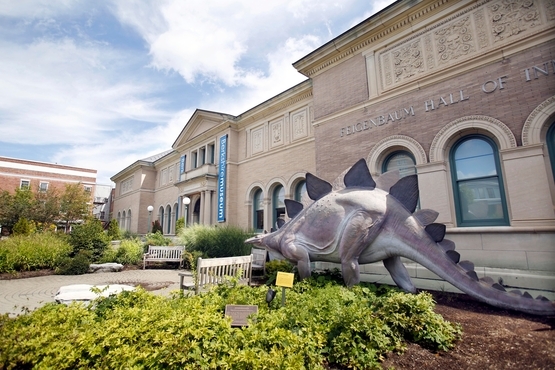 Thanks to a sound ruling by the Supreme Judicial Court, the trustees of the Berkshire Museum can ensure that Wally the Stegosaurus will continue greeting visitors for many years to come. THE BERKSHIRE MUSEUM, a venerable but struggling cultural institution in Pittsfield, Mass., triggered a furor when it announced last July that it would auction off 40 works from its huge and sprawling collection of art and historical artifacts. The goal of the Berkshire's trustees was straightforward: to secure a new lease on life for the 115-year-old museum. The $50 million they expected to raise would be used to renovate the Berkshire's aging building, upgrade its exhibits, and establish an endowment sufficient to put it on a firm financial footing for the coming decades. Opponents went ballistic. For the Berkshire to sell any of its holdings, they raged, was an egregious betrayal. Art critics and museum-world elitists insisted with unhinged fanaticism that if the Berkshire couldn't guarantee its future without deaccessioning a few dozen pieces from a collection of more than 40,000, it ought to go out of existence. It only added to their frenzy that two of the works slated for auction were paintings by Norman Rockwell, who loved the Berkshire Museum. Naturally the whole thing ended up in court, prolonging for months the Berkshire's financial distress and generating reams of commentary and legal pleadings. But with a decisive ruling from the Supreme Judicial Court, the museum has at last gotten the green light to proceed. The court approved a compromise worked out with the Massachusetts attorney general, who by law oversees museums and other charitable institutions. 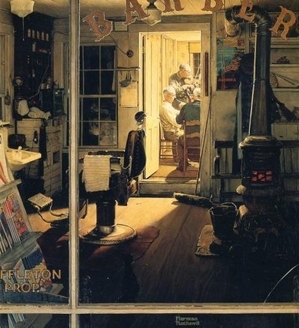 The most valuable of the 40 artworks designated for sale — Rockwell's 1950 painting "Shuffleton's Barbershop" — will be sold directly to the Lucas Museum of Narrative Art in Los Angeles, which will immediately lend it to the Norman Rockwell Museum in Western Massachusetts. The other 39 works can proceed to auction in stages. Sotheby's will open the bidding in New York next month with "Three Seated Women," a drawing by the late British artist Henry Moore. All in all, a welcome outcome to the controversy, especially for the Berkshire's fans. On the museum's social media pages, posts about the SJC decision and the arrangement for "Shuffleton's Barbershop" drew scores of "likes." Fund-raising in support of the museum's planned revitalization has picked up, with new donors contributing more than $22,000. Fingers crossed, but it looks as though the Berkshire will weather the storm and remain a lively presence in Pittsfield for years to come. Yet the art snobs seem, if anything, even more outraged. Norman Rockwell's "Shuffleton's Barbershop" will be purchased by George Lucas's Museum of Narrative Art in Los Angeles, but will be on display in Western Massachusetts for the next two years. The sale is a sacrifice, but it will enable the Berkshire Museum to thrive well into the future. Most disgraceful of all is the unremitting hostility of Anita Walker, the Massachusetts Cultural Council's executive director. Rather than trying to make peace — rather than taking a cue from the Commonwealth's attorney general and highest court — the head of the Bay State's official cultural agency pours scorn on a local cultural institution. The Berkshire's actions, she sneers, "in no way represent the professionalism and stewardship practiced by museums across Massachusetts." Frankly, if anyone has abandoned professionalism, it's Walker, whose agency exists to encourage and assist cultural institutions. She should be standing with the Berkshire's directors, volunteers all, who have poured heart and soul into keeping the museum alive and healthy. They have lived up to their obligation to ensure that there will be a future for one of the oldest jewels in Pittsfield's crown. If the arts purists weren't so graceless and condescending, they'd be able to see what so many friends of the Berkshire Museum can see: A long and distressing saga is headed toward a happy ending.